Not only that, but we get an even flatter and more Material Design-oriented interface, which just flies when powered by the blazing Snapdragon 810 chipset. 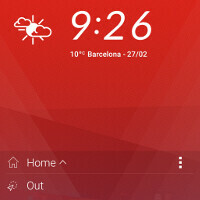 Well, pictures are worth a thousand words, so take a look at the HTC Sense 7 screenshot bonanza below, and tell us do you like what you see with the new Android overlay of the company. PA posting another article... All screenshots are found in the other article under the interface section. Same screenshots. They added I think 6 more and threw in "deep look" lol. Your comment doesn't even feel like John V. Nice try though! Sense is so clear, elegant, fresh, and attractive. More like Sense 6.5... But I like the theming feature!